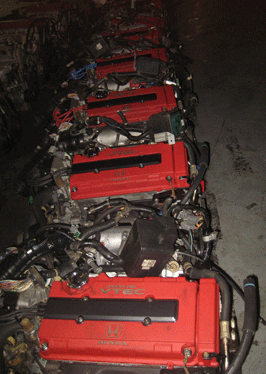 We, at Jdm Depots, carry a variety of low mileage Jdm engines, Jdm transmissions, Jdm accessories & Jdm parts with low prices imported directly from Japan. We do ship all over USA, Canada, & European countries. All our prices on the website are in USD dollars. To satisfy our clients and facilitate any transaction for a purchase of any Jdm engine, Jdm transmission, & Jdm parts; now we do accept major credit cards, paypal and money orders as well. So, Feel Free to contact us about a shipping quotation, or to know more about your Jdm needs, and one of our sales rep will be more than happy to assist you.